Really wish you could play Fortnite on your Mac, but not sure if it can handle the job, especially when gameplay gets a little crazy? 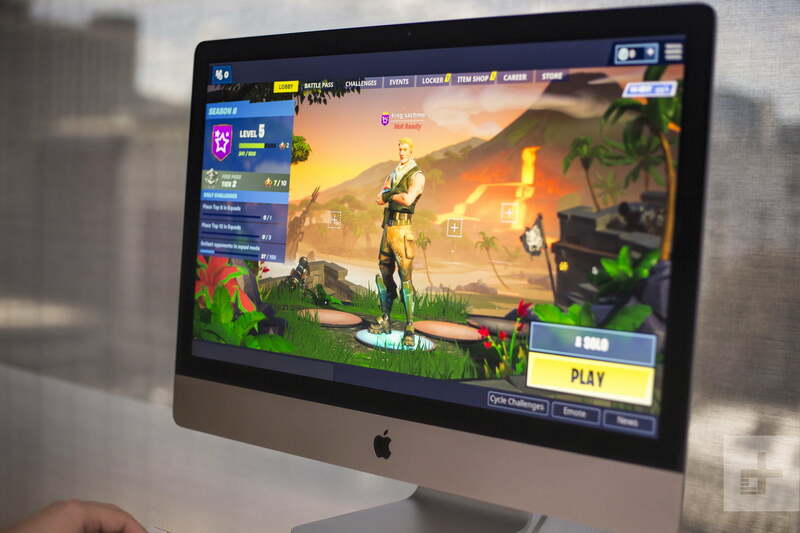 The good news is that Fortnite has been compatible with Macs since around MacOS Sierra, and that 2019 has seen a major boost in the quality of playing Fortnite on a Mac machine. But Fortnite can struggle on Macs, so it’s important you find optimal specs and settings. Here’s what you need to know. To download Fortnite on your Mac, just visit the Epic Games site and start the download process from your Mac. Select the Play Free button, and when given an option, choose the PC/Mac download. This will download the EpicInstaller file, which you should launch to start the process. Drag the Epic Games icon to your Applications folder, and confirm opening the Launcher if your Mac asks if you’re sure. The download will now begin. Epic will now ask you to make or sign in with your account. Sign in, and select the green Install button. When your Mac asks you where you want to save Fortnite, letting it download to Program files is a good idea. You should also keep the Auto-Update option selected so Fortnite stays current. Let the game finish downloading, and select Launch when you’re ready to start playing. When you start the game, Fortnite will automatically detect your hardware and dish out some recommended settings. That’s a good place to start, but you’ll probably want to adjust a number of in-game settings related to graphic quality and performance manually. Adjusting these settings down can help your Mac run Fortnite more faster, but it may also make the game harder to play. Here are a few settings options to keep in mind. Display resolution: All modern Macs have displays higher than 1080p. However, you’ll probably want to stick to 1080p resolution for better framerates. You’ll want to try and get as close to 60 FPS as possible, though anywhere above 30 should be playable enough to at least have some fun with. Quality presets: You can choose from Low, Medium, High, and Epic (or Auto, but you want more control than that). Start off at Low, as this will give you as many FPS (frames per second) as possible. If it looks like your Mac is running on Low settings with no problems, try bumping up to Medium and see how your playing experience goes. If gameplay is still very smooth, you can try increasing the settings even more to get the most out of your performance. 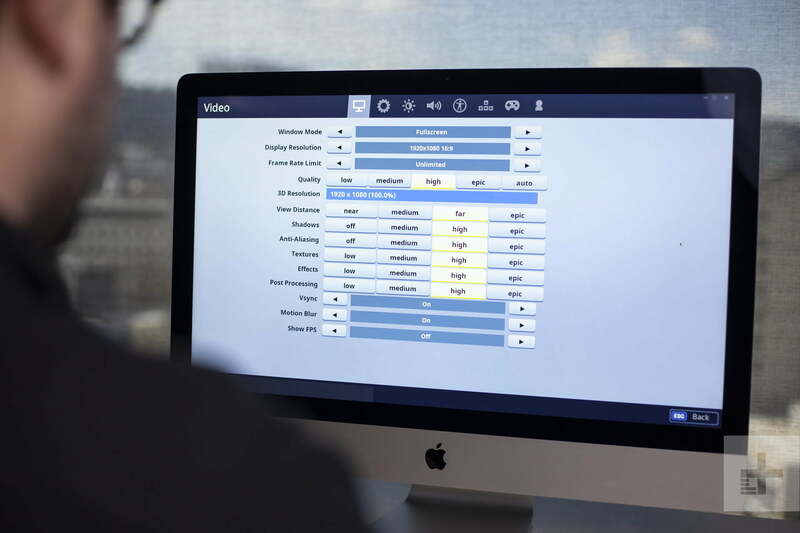 Vsync: In most cases, you’ll want to have Vsync turned on to reduce the amount of screen tearing in the game. However, if you find that it’s costing you too much performance, you may have to live without it. Remember that game quality can change over time. Things improve, but patches also introduce new issues. As we mentioned above, Fortnite performance on Macs has seen major improvement just between 2018 and 2019, thanks to new updates and compatibility. However, as we’ve seen with past updates, sometimes new versions can also introduce bugs that create crashes or slowdowns. These bugs are fixed in time, so either roll back the update if possible, or stay patient and wait for a fix. Okay, so what specific Mac models are ideal for Fortnite, and which will run into problems? Let’s look at two separate cases, playing on laptop and playing on desktop. On a MacBook: If you are playing on a laptop, you need recent specs to support smoother play — otherwise you’re going to have a really rough time. We highly suggest using the MacBook Pro for playing Fortnite, and stick to models that were released in 2016 or more recently. The newest MacBook Pro models greatly increase performance. We also suggest sticking with the 15-inch model. The 15-inch version upgrades from integrated graphics to a discrete GPU — the impressive Vega 20 — which gives an important boost to your gameplay. Other Mac laptops with there integrated GPUs just won’t be as smooth. 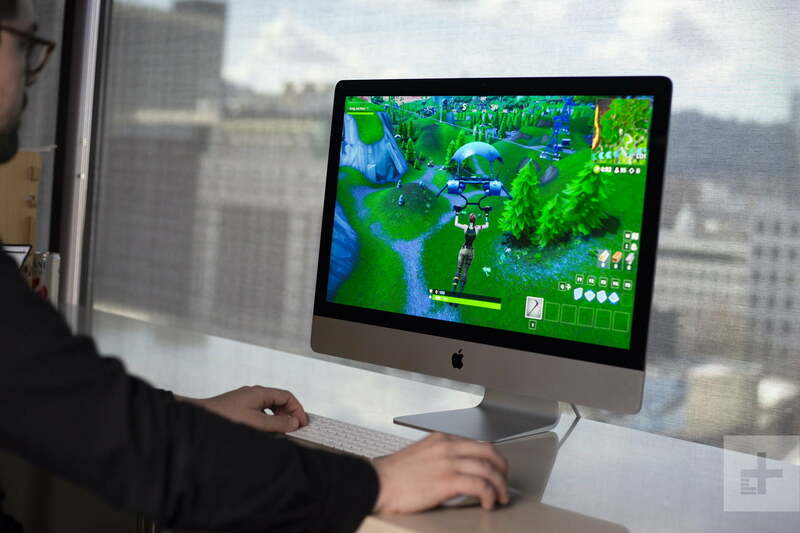 On a Mac desktop: An iMac can handle Fortnite, as long as it’s one with a discrete graphics option. It doesn’t matter how great your iMac looks, if it’s running standard integrated Intel graphics, it’s not going to perform well in games. Furthermore, for compatibility reasons you should look for a model released in 2016 or more recently for the best results. The same goes for the Mac mini, which doesn’t include discrete graphics. We tested the the 5K 27-inch iMac with a Radeon Pro 580X graphics card, which gave us near 60 FPS on Epic, or in the upper-70s on High. There’s an important caveat for Macs: To run Fortnite, they have to have Metal support. Metal is technology that coordinates tasks between the CPU and GPU in Macs, and Fortnite requires it to run properly. Metal was introduced in OS X El Capitan, so as long as you’ve updated your Mac’s software in the past couple of years, you should be good. Generally speaking, any MacBook released in 2015 or later will have Metal. Any Air or Pro models had Metal in 2012 and later. iMac models got Metal in 2012, and Mac Pros got it in late 2013. If your Mac doesn’t have Metal, Fortnite isn’t really an option until you upgrade.